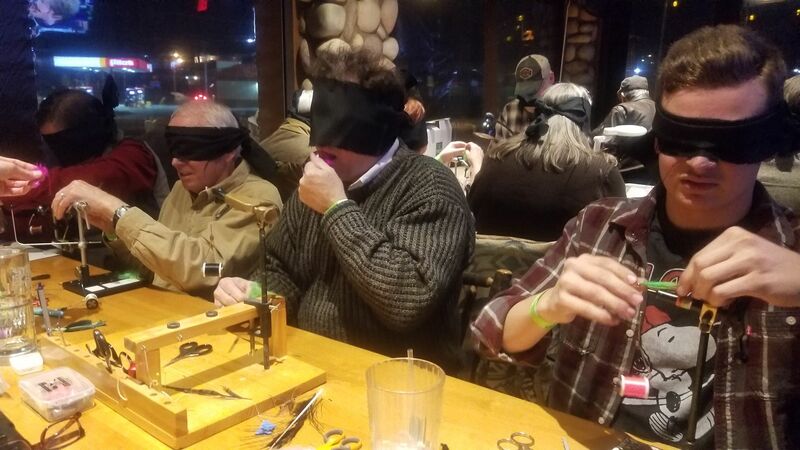 "IRON MAN FLY CONTEST 2019"
"It has begun, the drumbeat has started, the hushed whispers are being overheard in fly shops, and the “IRON MAN FLY CONTEST 2019” is almost here. The Battle of the Fly Tiers is just around the corner and the contestants are preparing!" Check out the latest story about the "IRON MAN FLY CONTEST 2019" in Southern Trout Magazine December issue! 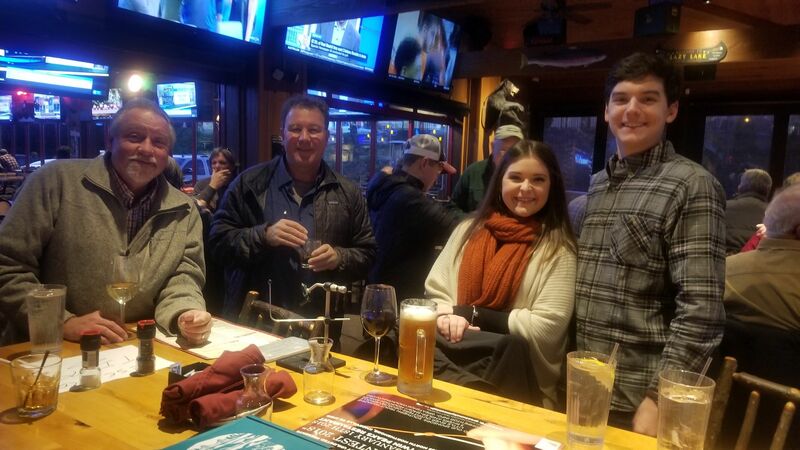 On Thursday, January 24th, 2019 the 4th annual "IRON MAN FLY CONTEST" returns to Knoxville at our new location DEAD END BBQ restaurant located at 3621 Sutherland Ave in Knoxville TN. We welcome DEAD END BBQ as a new sponsor and thank Little River Outfitters and our other great sponsors for their continued support! 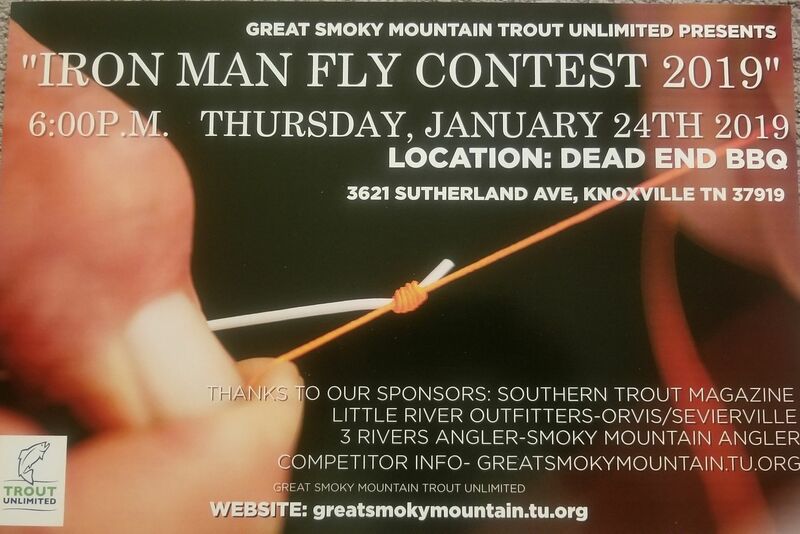 The GREAT SMOKY MOUNTAIN TROUT UNLIMITED chapter invites you to come out as a competitor or audience member. This is our main event of winter to help raise money to sponsor a deserving boy or girl ages 12-15 years old to "Trout Camp", a conservation and outdoors experience in the Great Smoky Mountain National Park each summer. Compete for great gear from our sponsors or join us in the audience as we cheer the fly tiers on! "WATCH FOR POSTERS IN YOUR LOCAL FLY SHOPS AND RETAILERS." Last edited by bigsur; 12-17-2018 at 02:36 PM. "Bust those cabin fever blues!" 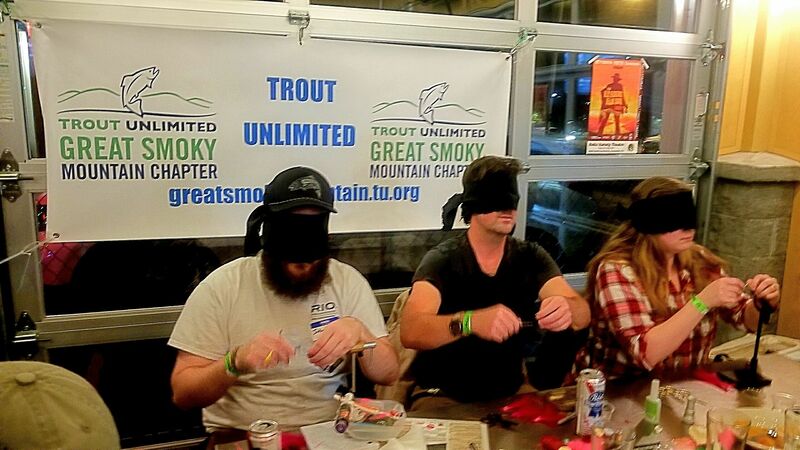 "Help Great Smoky Mountain TU send a child to Trout Camp this summer." Competitors have a shot at fly rods, reels and great gear from our sponsors Southern Trout Magazine, Little River Outfitters, Smoky Mountain Angler, 3 Rivers Angler, Orvis-Sevierville, and our host DEAD END BBQ! Can you "CHALLENGE THE FLY?" Bring your friends and family for a night of laughs and fun with great food from DEAD END BBQ! Contestants entry fee helps provide the cost of sending a deserving boy or girl to "Trout Camp". Admission is free for spectators and fans! "Check your local fly shop for the "IRON MAN FLY CONTEST 2019" poster"
ENTRY FEE IS $30-COMPETITORS HAVE A CHANCE TO WIN FLY RODS, REELS AND GREAT GEAR FROM OUR SPONSORS! COMPETITORS ENTRY FEE HELPS FUND CAMPER'S TUITION TO "TROUT CAMP"
"Help send a deserving boy or girl to "Trout Camp" this summer in the Great Smoky Mountains National Park!" 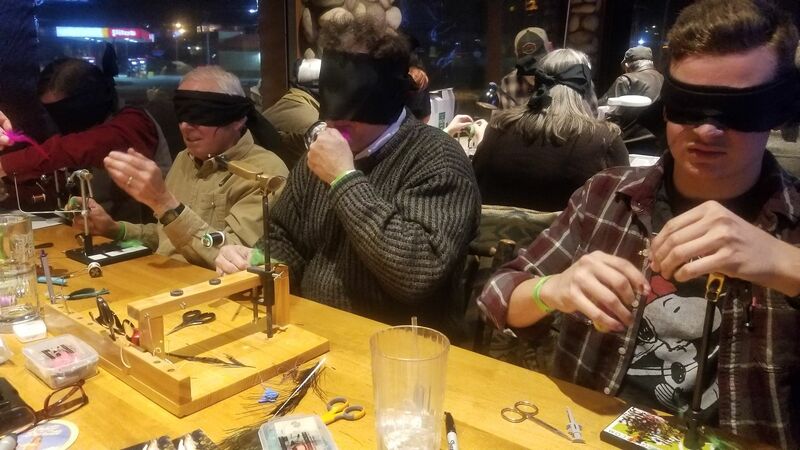 "We were Bird Box before Bird Box!" Last edited by bigsur; 01-14-2019 at 10:46 AM. "ITS A PARTY 'N YOUR INVITED!" 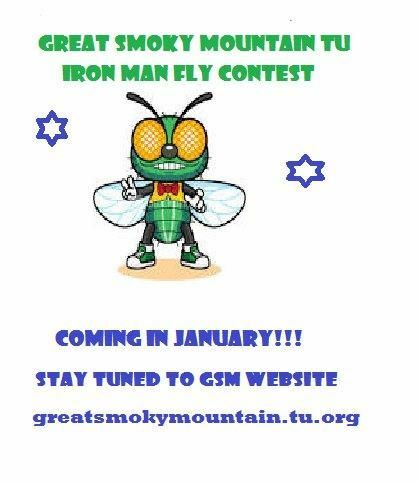 4TH ANNUAL "IRON MAN FLY CONTEST 2019"
"JUST A FEW ENTRY SPOTS LEFT"
Last edited by bigsur; 01-22-2019 at 06:14 PM. "BUST THOSE CABIN FEVER BLUES TONIGHT!" & GREAT FOOD FOR A GOOD CAUSE! ITS A PARTY 'N YOUR INVITED!" Last edited by bigsur; 01-24-2019 at 10:53 AM. 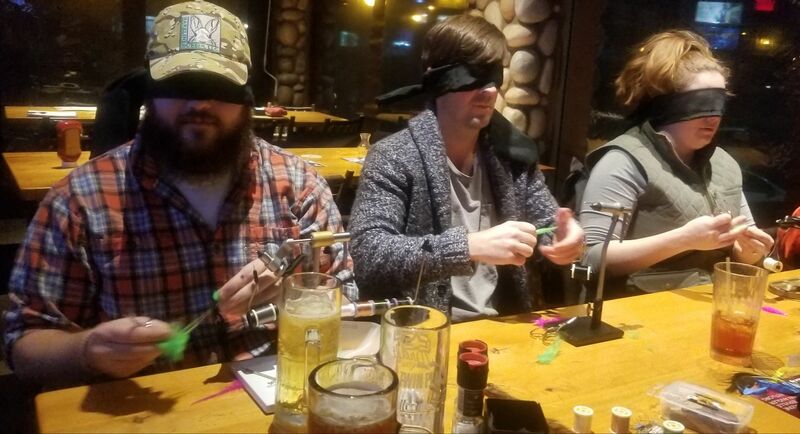 Thank you to everyone who came out to "IRON MAN FLY CONTEST 2019" at DEAD END BBQ! We hope everyone had as good a time as we did "TYIN FOR A REASON". The tiers entry fees and donations will help us send a child to "TROUT CAMP again this year. The house was packed and standing room only as the tiers battled it out again this year. We will be posting pics and info in the coming week here and on our Great Smoky Mountain TU website. A shout out to our dedicated sponsors and volunteers of course who make it all possible. Thank you to Don Kirk and Southern Trout Magazine, Little River Outfitters, Smoky Mountain Angler, 3 Rivers Angler, and Orvis-Sevierville who have been a part of this event since day one four years ago. Also a big round of thanks to those who come out and support this event and cheer the tiers on each round. Every year the level of competition gets better as they compete for fly rods, reels and the latest gear on the market, and makes stumping them a challenge. Thanks to our GSM TU officers Bruce McNiel and Robert Ogle for their work. Also thanks to our judges Dave Carson-Little River Outfitters, Chad Fouts-Smoky Mountain Angler, and Brett Winchell & Matt Crockett of 3 Rivers Angler. I am proud to say this year our #1 winner is a young lady who came in the top four last year and this year returned and became our first woman to be top competitor. Thanks to all our tiers and here is the winners list. Check out the blindfold round video on Instagram below from Chad Fouts! LINK: "WE WERE BIRD BOX BEFORE BIRD BOX! Last edited by bigsur; 01-26-2019 at 10:43 AM.